Just take a look at our consistent, positive reviews on the car garage review site, the Good Garage Scheme. Since joining in 2009, we have held an 100% rate telling customers EVERY customer would recommend us, and EVERY customer would visit us again. "Pick up and collection service is excellent. Really quick - will definitely use again." "This garage has restored my faith in garages. Brilliant service. I couldn't recommend them more highly." 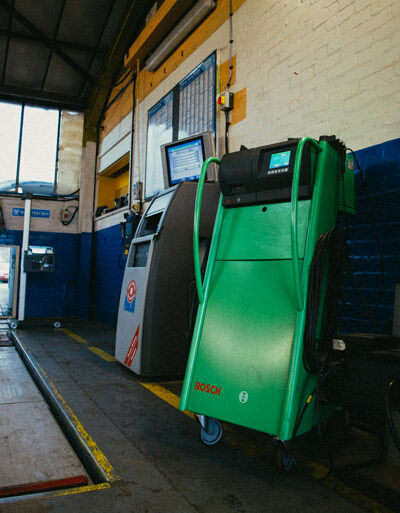 Our diagnostic systems used by our high-level trained staff means we can quickly make sense of confusing fault codes and advise on any necessary repairs. Using the latest in Diagnostic test equipment. Full Air Conditioning services and leak detection. 50 point industry standard services carried out. MOTs arranged and MOT repairs undertaken. Complete engine re-building carried out.